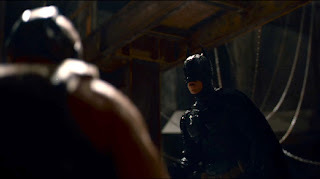 Home » batman , hans zimmer , music , soundtrack , the dark knight rises » THE DARK KNIGHT RISES orchestral score needs YOUR voice! THE DARK KNIGHT RISES orchestral score needs YOUR voice! In what has to be one of the coolest efforts at crowdsourcing ever, composer Hans Zimmer has put the word out that he needs our vocal talents for next summer's The Dark Knight Rises: Christopher Nolan's third and final Batman film. "I'm shining the bat-signal up into the sky to call you all! We need to hear your voices! Now and Loud! We are creating the sound of a worldwide chant. Everyone come and be part of it. It's easy: There is no such thing as out-of-tune, no timing we can't fix later. If you mumble, growl, scream or whisper, it's all good. Make it yours. If you only get halfway through, no problem! Do it alone, bring your friends, but do it with energy and commitment. Let your voice be heard and be a part of our adventure!" The chant itself is apparently "Deh-shay, deh-shay bah-sah-rah, bah-sah-rah", which means in Moroccan "He rises, he rises!" Go to the project's main site, read and agree to the rules, then start chanting away! Who knows: that could be your voice booming across those IMAX speakers come July!